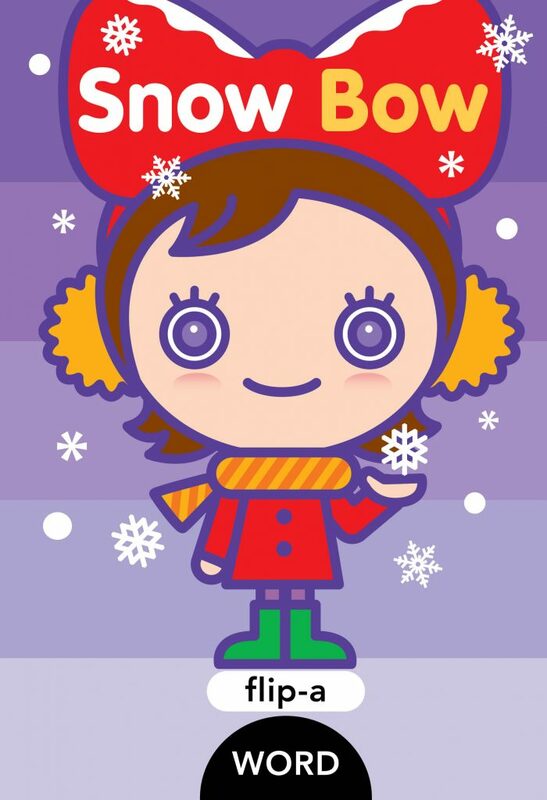 Is that bow in the snow? Will we meet on the street? Flip a page and watch a feet turn into a feet meet and then beet on feet! Nouns or verbs from a word family are shown. Single words progress into short phrases ("hot spot") and then simple sentences. A die-cut at the bottom of the page encourages kids to turn - and see a new word from the same family, along with a new image (a b-un becomes a s-un). With playful, colorful art done in the "Hello Kitty" style, each book in this interactive phonics series features three different word families. Word families help children recognize similarities between words that rhyme and connect words with matching long, or short, vowel sounds. Kids can then read words that they haven't seen before. Flip-a-Word takes kids from a single word, to a phrase, to a simple sentence. From there, eye-catching illustrations will lead kids to imagine story scenarios only a child could dream up! Kids, parents, teachers - everyone flips for Flip-a-Word!